The South Carolina jury deliberating in the murder trial of former North Charleston police officer Michael Slager has failed to reach a consensus, Reuters reports. The jury, comprised of 11 white jurors and one Black juror, informed Judge Clifton Newman of the deadlock on Friday afternoon in a note indicating they could not come to an unanimous decision. Newman then urged the jury to make a reasonable effort to reach a decision or he would be forced to declare a mistrial. The judge told jurors they had a duty “to make every reasonable effort to reach a unanimous verdict” and instructed them to continue their deliberations. Slager was charged with murder last June after fatally shooting 50-year-old Walter Scott – an unarmed Black man he pulled over in a traffic stop – on April 4, 2015. Slager fired eight times, hitting Scott five times in the back as he was running away. The shooting was one of many involving white law enforcement officers and Black men and women that prompted unrest in cities from protesters calling for an end to racial bias in policing and denouncing state violence against communities of color. 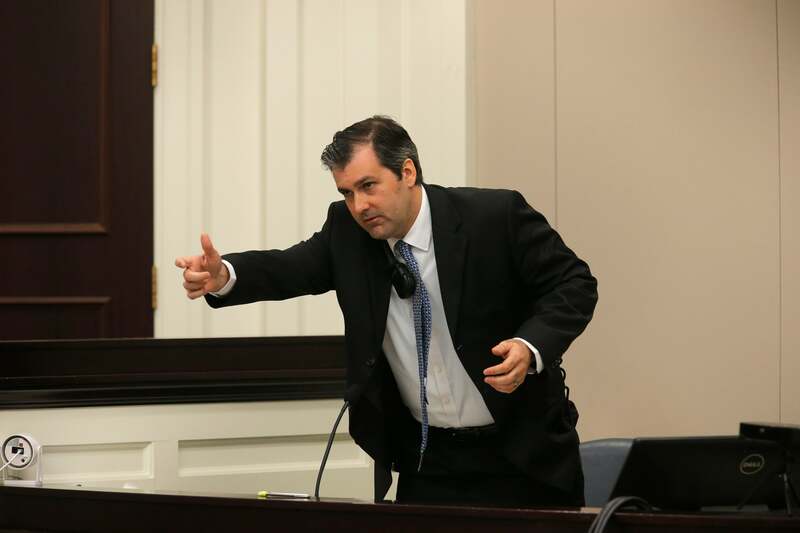 Jurors – who could find Slager guilty of murder or voluntary manslaughter – have been deliberating since Wednesday. The jurors could also acquit the officer, based on an argument of self-defense, Reuters notes.